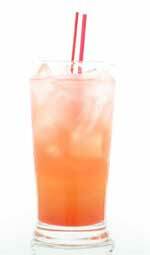 Island Screwdriver drink recipe made with Orange juice,Vodka,. How to make a Island Screwdriver with all the instructions and ingredients. You put the Absolute Citron in the Tropical Orange and shake it all around. Add vodka to taste. Above is suggested amount. Enjoy! Creamsicle Screwdriver View This Recipe! Derek Surprise View This Recipe!